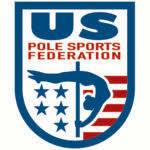 What made you want to pursue pole fitness? I got into pole fitness when I lived in Los Angeles and trained at Bespun. My best friend dared me to take a pole dance class. I was really shy and not sure how it would be. But, after my first class, I instantly fell in love. What is your goal or new years’ resolution for 2014? One of my many goals is to master the art of light packing for my insane tour schedule ahead. How often do you train on the pole regularly verses when preparing for a competition or showcase? Showcase practice: I feel a little more relax regarding the showcase preparation. I train daily on conditioning, new skills, contortion and dance, taking least a day off per week to help with injury prevention.